The suspension of Under 18s coach Mark Phillips has given West Ham United's Board yet another unwanted headache to deal with. It was revealed on Monday by The Guardian that Phillips, who has worked for West Ham for ten years (four as a full-time youth coach) had been the subject of a complaint by Kick It Out following an appearance at a DFLA (Democratic Football Lads Alliance) march in London last weekend. 24 hours later it was announced that the 58-year-old had been suspended with immediate effect - which is where the club hit a first snag. For whether you agree with the motives of the organisation or not, this particular march had been green-lighted by authorities and Police and was therefore a legal procession. However the problem for the club is exacerbated due to their previous open dalliances with fellow supporters of the FLA - the group from which the DFLA experienced "a vicious split"* earlier this year, citing non-payment of funds to the Royal British Legion. Back in January of this year, directors Karren Brady and Tara Warren happily shared a room with representatives of fans' umbrella group West Ham Groups United (WHGU), which included the RWHFAG's (Real West Ham Fans Action Group) Andy Swallow and others (including myself and others on behalf of KUMB plus members of WHUISA) for a six-hour meeting at the stadium. That meeting took place a month after Swallow had spoken openly in a KUMB interview about being involved with the organisation of previous FLA marches - of which the club would have been only too aware. He also referred to private negotiations with the club's majority shareholder, David Sullivan, at the latter's own home. The deal that was subsequently struck by Ms Warren and Baroness Brady (for whom a clear and obvious political preference is no issue) following those meetings was solely with Swallow's RWHFAG, who arbitrarily decided to call off a protest march they had planned as a result of the club's acquiescence. Unfortunately that agreement turned out to be a spectacular own goal for the club's representatives, as fans who were disappointed by the hastily-accepted deal simply ignored the decision to cancel what would have been a well-planned march and continued with their own spontaneous protests, culminating in the ugly scenes witnessed during the following home match, against Burnley. Rendering the club's decision even more difficult, Phillips is of course not just an employee of West Ham United's - and one who is understood to hold a previously unblemished record - but a life-long supporter of the club. And according to newspaper reports, Phillips has made no secret of his recent support for right-wing commentators such as Katie Hopkins on his twitter timeline (which has since been locked). Again, nothing illegal or necessarily suspicious but none of this should be news to his employers, who actively monitor social media; indeed, the club recently hired someone to do precisely that. The conundrum now for West Ham is how to respond - knowing that whatever course of action they choose to adopt, they are almost certainly going to upset somebody. For should the Board ultimately decide to sack Phillips, there will be considerable anger and discontent from those who support organisations such as the DFLA, others who believe he should be free to participate in such (legal) events without recrimination plus those who know him personally. And given the Board's recent aforementioned example of willingly sharing a platform with those who share Mr Phillips' views, no doubt (perfectly reasonable) charges of hypocrisy too. However should the club refuse to sack him, they risk further condemnation from those who maintain a Premier League organisation should be doing its utmost to distance itself from both far-right groups and those perceived thusly - especially as the Tony Henry affair is still fresh in memory and given that the club is situated in one of the country's most ethnically-diverse communities. 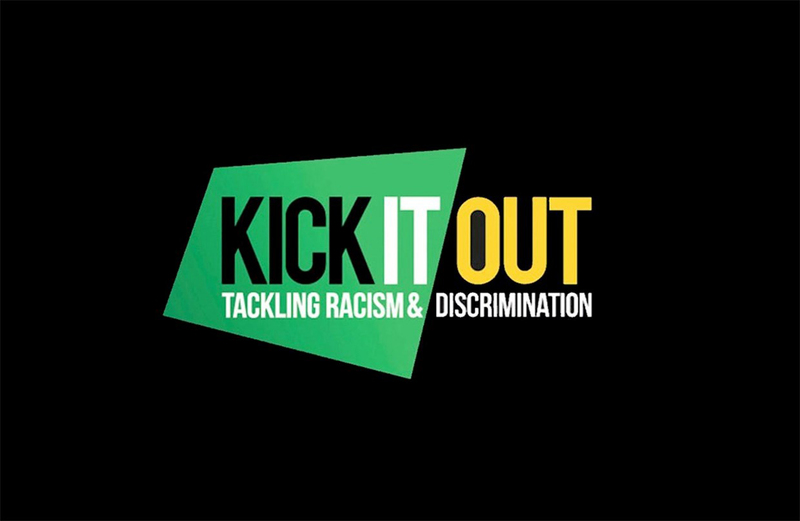 One potential 'get out clause' for West Ham may be to follow the advice of Kick It Out, who since registering their initial complaint have expressed a desire for Phillips to retain his position at the club whilst undertaking an 'anti-discrimination' course, on the basis that he demonstrates " a genuine willingness to learn"**. But even that is unlikely to prove sufficient to appease the entire fanbase - and how would such a decision sit with folk like this parent of a Foundation player, who wrote to me this week in order to express his concerns? "My son - Muslim, a West Ham United season ticket holder like me - is at the West Ham United Foundation's Performance Academy," he wrote via social media. "Should he progress, I'd be concerned whether he'd experience (sub)conscious bias under a coach with FLA sympathies." Phillips was undoubtedly naive to use social media in order to express his support for an organisation with links to the far right, given his position at a company who are based in one of the UK's most diverse boroughs - a position which he is known to both thoroughly enjoy and cherish. However West Ham will have been aware of Mark's personal views - or should have been - and however they decide to respond in the next few days, the club have almost certainly left themselves in a no-win situation - albeit a situation that is partly of their own making.